8" widespread 3-hole faucet mount. Faucet(s) not included. 3" Backsplash included. Countertop Included. 44 in. Matching Mirror. Two (2) functional doors. Five (5) functional drawers. 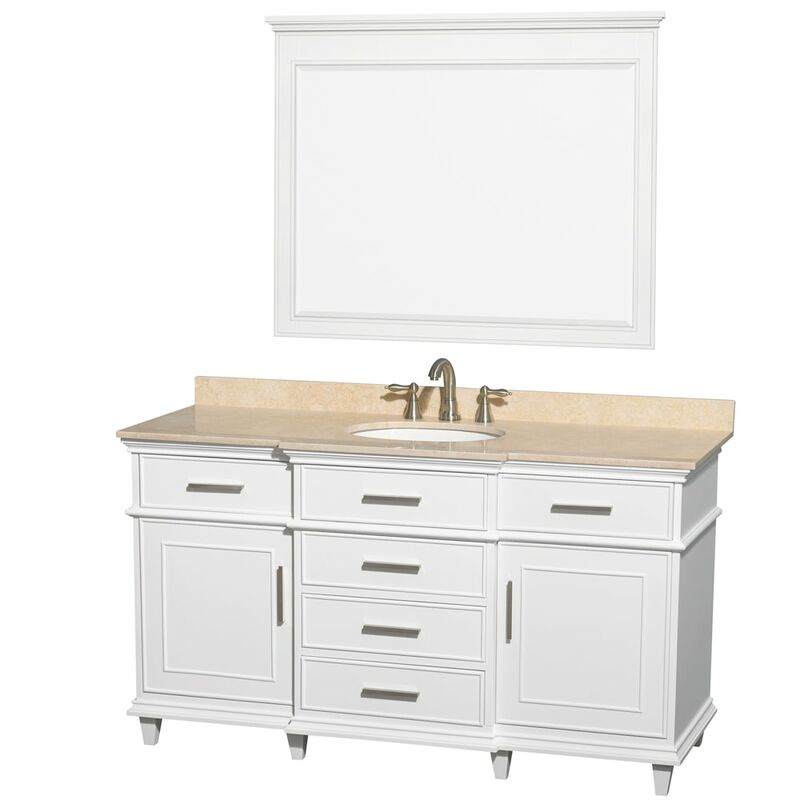 Dimensions - Vanity: 60" x 22.5" x 34"; Mirror: 44" x 1.875" x 36"